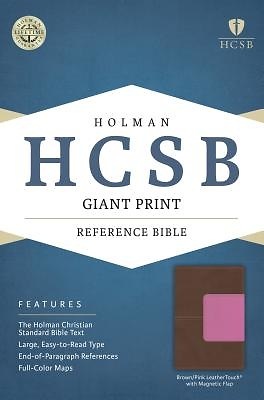 In this context the "Holman CSB(R) Giant Print Reference Bible "could become one of the fastest growing families in your Bible department. The print is a comfortable fourteen point type. This is a full reference Bible with cross references placed at the end of paragraphs.